Residents of Congregational Retirement Homes (CRH) were treated to a special holiday music performance by students of Lincoln Elementary School, Melrose. Practicing for weeks, the young students gave a high-energy group performance and some students even performed a solo. 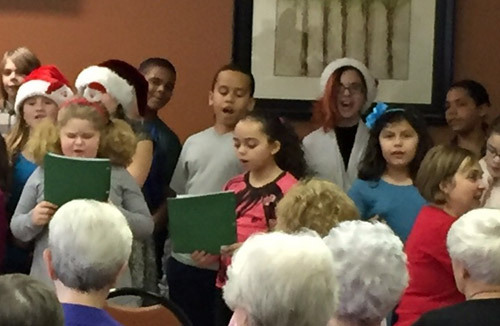 The December 10th holiday event marked the 3rd time that Lincoln Elementary School students have entertained the residents at CRH. The school music department worked very hard to prepare for this wonderful concert and it showed! CRH residents look forward to next year’s performance.